Terry Karges has done everything in support of sports in Port Dover except scrape the ice but as a youngster he probably even did that. Many times he prepared the ball diamond so the teams he coached/managed or the league he organized had a decent field to play on. Terry was an accomplished goal scorer in his playing days that began in the Port Dover Minor Hockey system and continued into Junior C in Simcoe. He returned to Port Dover with the ORHA Thunderbirds, the Intermediates, and the Commercial A league where he was often the leading scorer. This was true of many of the teams he played on and many of the leagues he played in. Terry led a number of teams to semi-finals, finals, and championships during his playing days. Thanks to Terry’s dogged determination at organizing, re-organizing, coaching, managing, convening, and fundraising many young and not so young people were given the opportunity to play hockey and ball in Port Dover. If there was a job to be done, Terry was ready, willing, and able to do it. Terry started his long and successful coaching career at age 19 when he coached and co-managed a Novice team that played exhibition games against other towns before Novice was even recognized by the OMHA. Two years later while still coaching and managing, Terry became a member of the PDMHA where he was active for 14 years serving as treasurer, vice-president, and president for three years. He was often the PDMHA rep at the OMHA convention in Toronto. For this and more, Terry was awarded a Life Membership. Terry spent 9 years either coaching or on the Port Dover Junior executive. Terry didn’t sit idle in the summer time. In fact, he spent 18 years with the Port Dover Softball League. 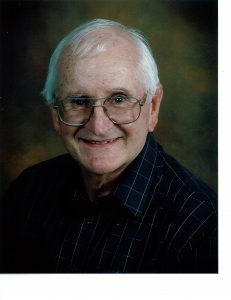 He was instrumental in 1959 in reviving the Port Dover Men’s Softball League that grew from 3 to 8 teams. The league folded in 1972 primarily because Terry wasn’t there to run it. He re-organized it in 1978. From 1973 – 1977, he organized a Lakers team that played in the ORSA and the Tri-County Fastball League. In 1973 they reached the ORSA semi-finals. Terry never lost his enthusiasm or energy. He played Old-Timers hockey for 14 years and captained and led this team in scoring most of those years. After his playing days ended, he could still be counted on to arrange ice time and social events for the Very Old Timers.